Autoflo WH100 Water Hammer Arrester. 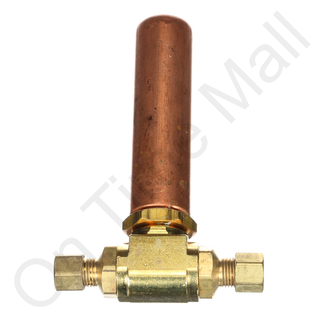 Replacement water hammer arrester for various humidifiers to eliminate hammering sound when solenoid valve opens and closes. Simple to install. Just turn off the water supply line to the humidifier. Next, cut the inlet water supply line 1 to 2 feet away from the solenoid valve with a tubing cutter and install this device using 2 small crescent wrenches. Mount it in a vertical position so the fittings are on the bottom. Now turn the water back on and enjoy.